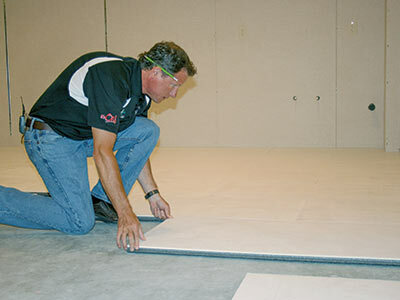 Home»Basement Finishing»Basement Flooring»Why ThermalDry Floor? No mold or moisture damage ever. Snap-together design installs directly over concrete floor. No mastic, grout, glue or finish required; ready to use as soon as it’s installed. Built-in drainage & thermal barrier. Super durable & easy to clean. Base hit. 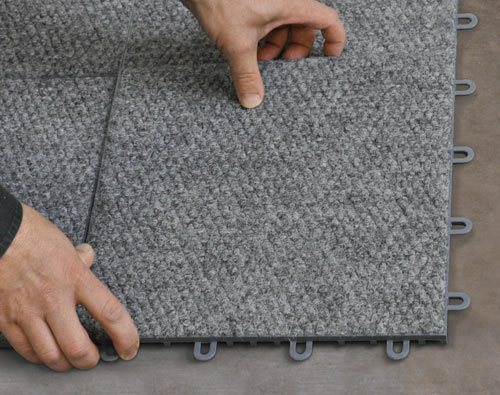 Installing ThermalDry® Floor Matting gives you a great utility floor that can also provide a durable, moisture-proof base for different finished floor materials. Increase comfort. With ThermalDry® Insulated Floor Decking™, you can add insulation to your basement floors and install a waterproof subfloor to protect your finished flooring in a single installation step. Notice the nubs. 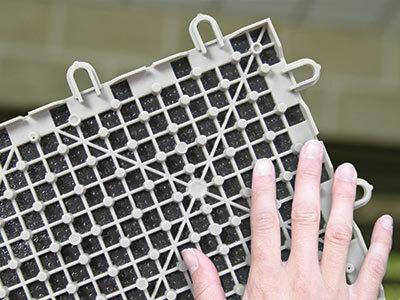 The plastic underside of a ThermalDry® tile contains a network of nubs to create drainage space and a thermal break between the concrete and the finished floor surface. Damp basement conditions can easily ruin certain flooring materials –like plywood, oriented strand board (OSB) and carpeting installed directly over a basement slab floor. It’s messy, expensive and discouraging to remove moisture-damaged materials from your basement. Wouldn’t it be nice to install basement flooring that couldn’t ever be damaged by mold or moisture? Look no farther. 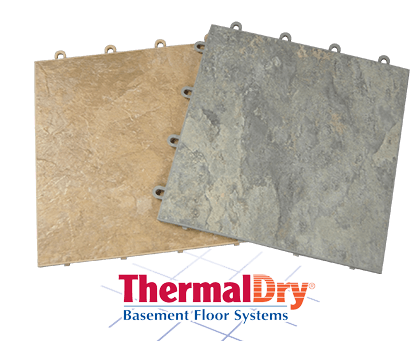 ThermalDry® Floor Tiles are designed to stand up to tough basement conditions and provide many years of worry-free, low-maintenance performance. All ThermalDry® flooring tiles share the same 12-in.-square shape and snap-together design. The high-density PVC plastic used to form the body of ThermalDry® flooring tiles is strong, durable and immune to moisture damage. The underside of each ThermalDry® tile features nubbed construction to create a drainage plane as well as a thermal break to shield your feet from the cold concrete floor. 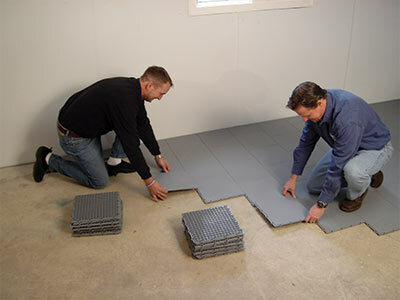 You can choose from several styles of ThermalDry® basement flooring. 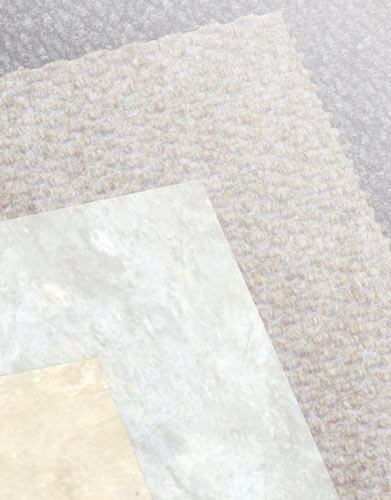 Surface finishes include tan and grey simulated tile, two tones of synthetic basement carpet tiles and a remarkably realistic wood parquet tile. Since tiles are designed to interlock, you can even combine different ThermalDry® styles in the same floor –a feature that provides plenty of design possibilities. Flooring for every style. 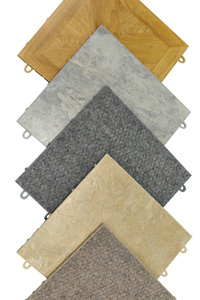 ThermalDry® finished basement flooring tiles are available in a variety of styles, colors, and textures. Some basement finishing projects begin in a bad way: by removing moldy, moisture-damaged finish materials that shouldn’t have been installed in the first place. ThermalDry® flooring will always be at its best, in spite of the worst conditions that can exist in a basement. It’s the best flooring for a finished basement and also the last flooring you’ll ever need to install. If a tile gets damaged for any reason, it’s easy to remove and replace the tile. 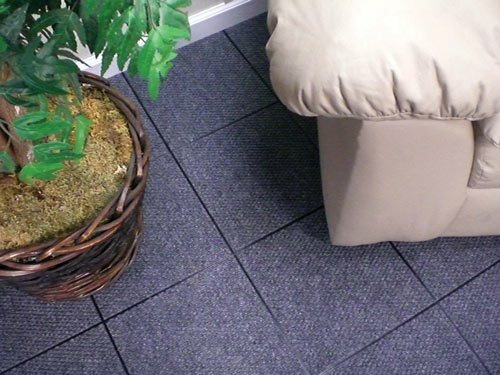 Like ThermalDry® basement flooring, our ThermalDry® basement floor matting features the same PVC tile construction for exceptional durability and immunity to moisture damage. 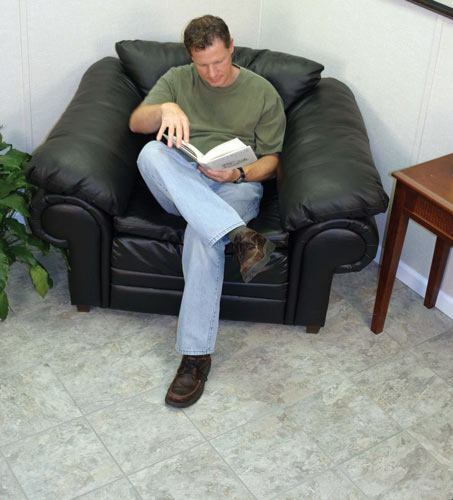 Installing these grey tiles gives you an attractive, high-quality utility floor that can also serve as underlayment for carpeting and other finished floor treatments. Before you install finished basement flooring, consider the benefits of Basement Systems' revolutionary insulated basement subfloor system. 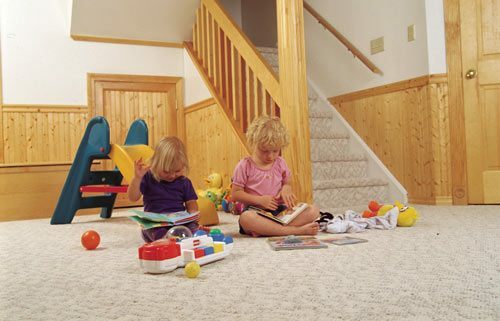 ThermalDry® Insulated Floor Decking™ leaves you with a comfortable, dry basement floor. If that's what you're looking for, contact us today to schedule a free consultation with your local expert!